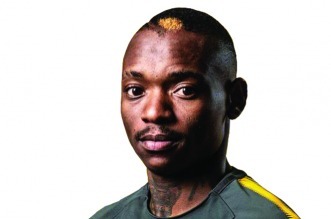 JOHANNESBURG — Kaizer Chiefs legends Thabo Mooki and Cyril Nzama have endorsed the signing of Zimbabwean international Khama Billiat (pictured). Amakhosi have largely been underperforming over the last three seasons, suffering their longest ever trophy drought since the club’s inception. The arrival of Billiat has since brought about positive responses from the Chiefs faithful, who felt the club’s transfer business was left wanting in previous years. Mooki and Nzama have further backed the arrival of the diminutive forward, as well as that of the other signings. “He will do well and he fits in perfectly with the Kaizer Chiefs style of play,” declared Mooki on the club’s website. “Billiat will add value and experience. He will combine well with Leonardo Castro, as they did at Mamelodi Sundowns,” added Nzama. “I have seen Letlhogonolo Mirwa in action — the left-back is another good signing, while Virgil Vries complements the goalkeeping department nicely.